I was in Jakarta for a business trip the other day. 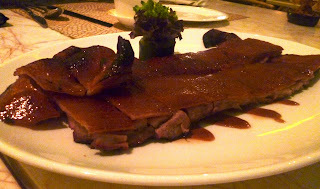 I had dinner with officemates at Table 8 at Hotel Mulia. It's a pity I forgot to take a photo of the restaurant, but I fell in love with the very posh decor of the place. They have a good buffet selection, but we decided to order ala carte instead. We got a half order of Barbecue Golden Suckling Pig (IDR 440,000 or SGD 64.00). Okay I may be biased due to my love of pork, but this was an absolutely amazing dish. The skin was extremely crispy, and each bite just melts in your mouth. 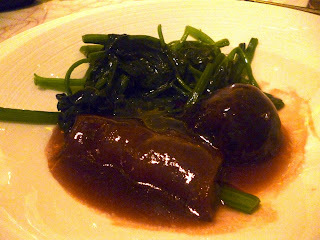 For veggies, we had the Braised Sea Cucumber and Bailing Mushroom Beijing Style (IDR 68,000 or SGD 9.70). Very nicely done as well and I just love the texture of the sea cucumber. 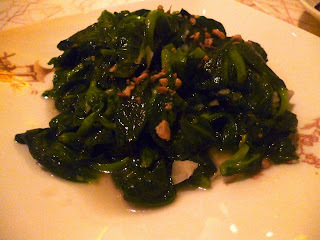 We also got another vegetable dish. I didn't get the exact name, but I think this was the Braised Beancurd (IDR 40,000 or SGD 5.70). Nice accompaniment to the heavier pork dish we had as mains. 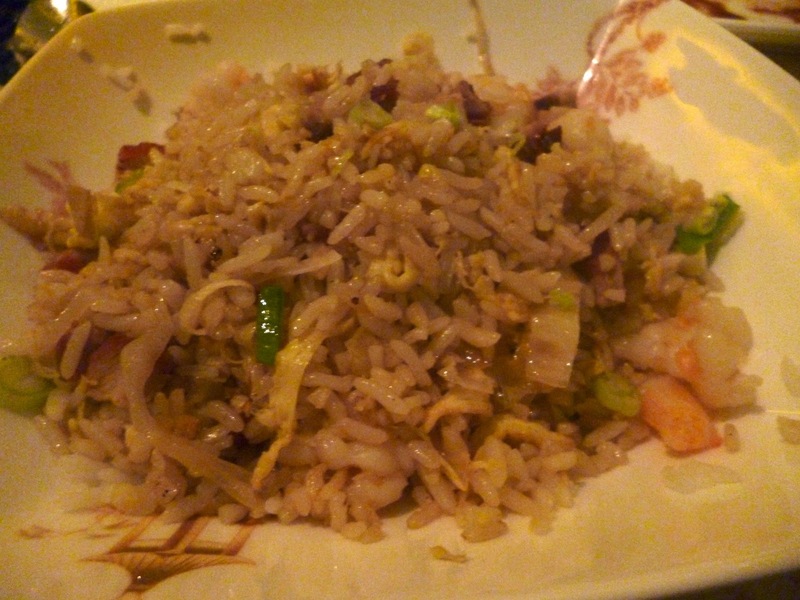 We also had the Yang Zhao Fried Rice (IDR 48,000 or SGD 6.80). This was a good take on this popular rice dish and had a generous serving of shrimp, fish, and scallops. The Chinese Food was really excellent at Table 8. And for a fine dining restaurant, the food was decently priced. This is definitely a favorite, and will visit again if I ever find myself in Jakarta in the future.